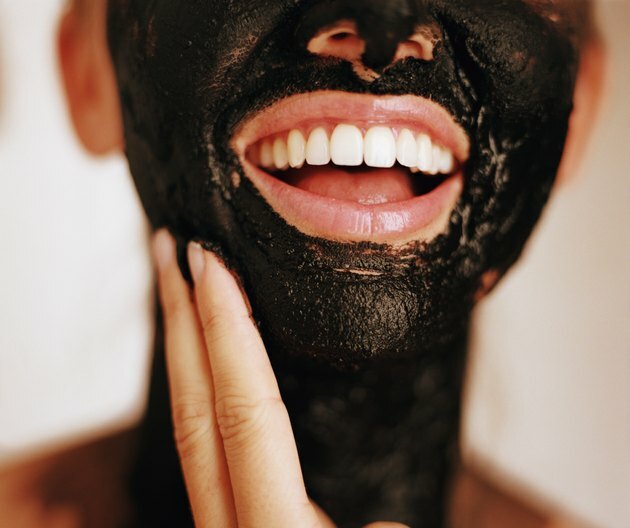 Though you may not immediately associate charcoal with healthy skin or skin-care products, activated charcoal boasts beauty benefits for skin by drawing oil, dirt and other harmful substances from clogged pores due to its adsorption powers. Mix 0.2 grams powdered activated charcoal, ½ teaspoon of bentonite clay and 1 ½ teaspoons of water together, and apply to the surface of skin. Remove the charcoal from skin after 10 minutes with a dampened cloth for smooth skin free of impurities. Charcoal powder may cause mild constipation and should not be taken regularly for long periods of time. Charcoal may also cause nausea and vomiting, GI obstruction, ileus and intestinal perforation. The aspiration of charcoal can cause respiratory complications. Charcoal is not effective against strong alkaline and acid poisons, cyanide, alcohol, caustic alkalis, boric acids and mineral acids. Seek medical attention if you experience tightness of the chest, swelling, rash or hives.